If you could choose three bikes from all of those you’ve ever ridden, which ones would they be? That was the question that Motorcycle Sport & Leisure recently posed to our good friend Nick Sanders, who gave his answer in their latest issue. Back in 1993, Nick completed one of his numerous around the world trips on an Enfield. An issue with his Honda, which broke down right outside an Enfield dealership in London, had led him to an impromptu meeting with the owner, and subsequently the importer. Despite arriving in Cairo with no more than a pile of parts, and then having to fly them to India to have them repaired in the factory, he couldn’t help but fall in love with the little bike which was looked upon as the Rolls Royce of motorcycles in it’s home country. First released in 1976, the XT660R was often looked down upon as the tourer you’d buy if you couldn’t afford anything else. However, with its reputation as something of an unbreakable warhorse, it proved the perfect companion for a man riding in some of the most extreme conditions you could imagine. A simple design makes it so easy to ride, perfect for long days in the saddle. Yamaha’s superbike wouldn’t be the first choice of many riders who were about to embark on an around the world adventure. But weighing in at 172 kilos, and with 171bhp at the back wheel, it allowed Nick to cover huge distances at lightening speed – perfect when you’re doing 1,000 mile days. 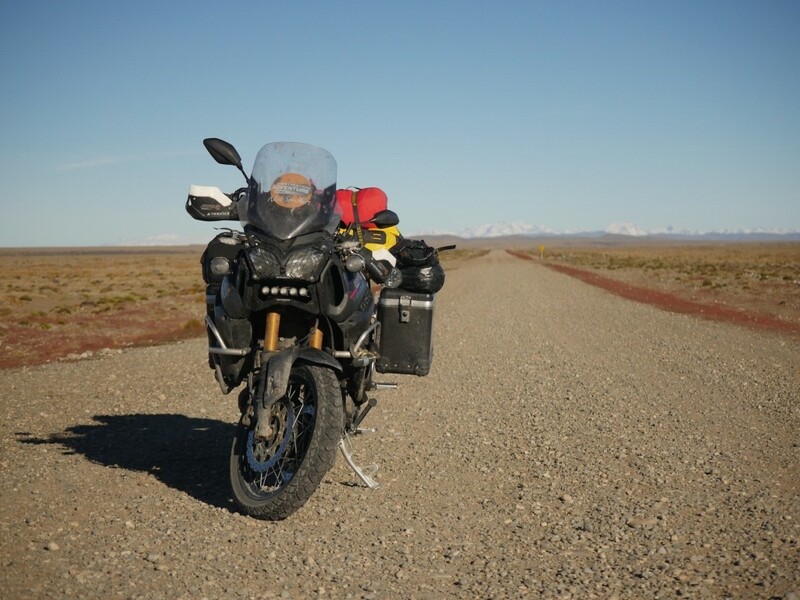 Nick has ridden across the Nubian Desert, and covered the length of the Pan American highway, all on various incarnations of the R1 and using the original ContiRoadAttack. 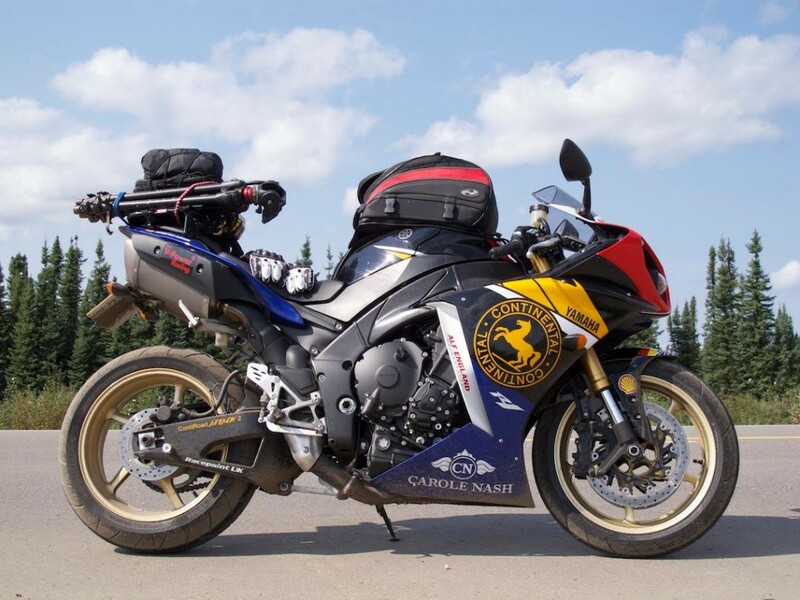 Nick’s varying choice of machines goes to prove one thing – many types of motorcycle can take you on an adventure! You can find out more about our adventure tyre range as used by Nick here. This entry was posted in News and tagged Motorcycle Sport & Leisure Magazine, Nick Sanders. Bookmark the permalink.